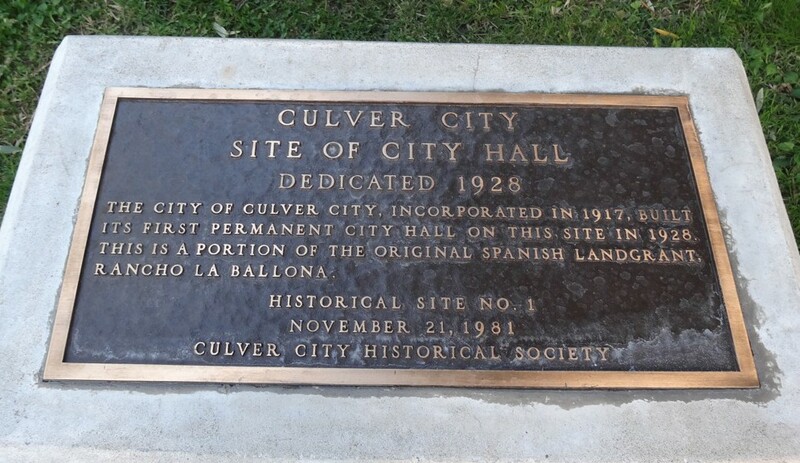 Culver City’s rich history encouraged and supported many activities in celebration of our first hundred years. Locals, under the umbrella of the Centennial Committee, planned a broad scope of events from the beginning of the year-long commemoration to the end: the kickoff at Sony Pictures; an old-fashioned community parade; a 5K Run through downtown, including both of our historic studio lots – Sony Pictures Studios and The Culver Studios; our Historic Bus Tours; and much more. There were many opportunities for residents to enjoy what I often call “painless education” – sweet bites of our amazing history! One of the highlights was the involvement of Culver family descendants. Pat Culver Battle, Harry Culver’s only child, was always a supportive presence in Culver City. Chris Wilde, her younger son who lived in Southern California for some time, gave us a helping hand by supporting the Society, and he served on the Centennial Committee as an advisor. 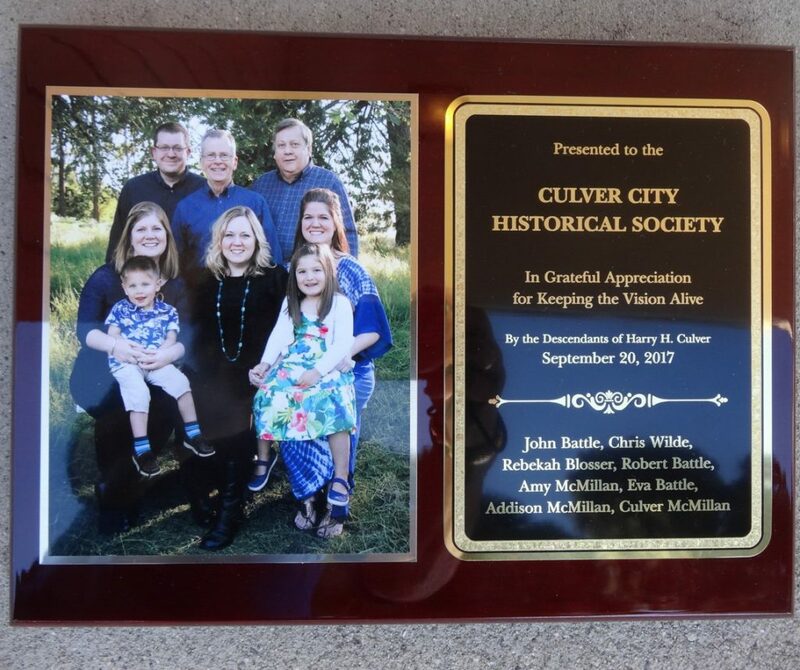 Pat’s elder son, Dr. John Battle, and his family graciously planned their vacations to coincide with our closing ceremonies and presented the Society with a plaque. Meeting the newest member of the family, three-year-old Culver, and his older sister, Addison, resulted in many smiles. Our schools participated on many levels, and streetlight banners showed off many students’ Centennial artwork. At the closing ceremony, representatives from our newest sister city, Capo de Oro, in Sicily, Italy, were in attendance to officially celebrate our relationship. Recently, the City Hall courtyard was renamed for the remarkable H. Dale Jones, who retired from his city service as Chief Administrative Officer. The courtyard will have a new Centennial garden with restored public artwork. Restoration so far has included the Society’s first marker. 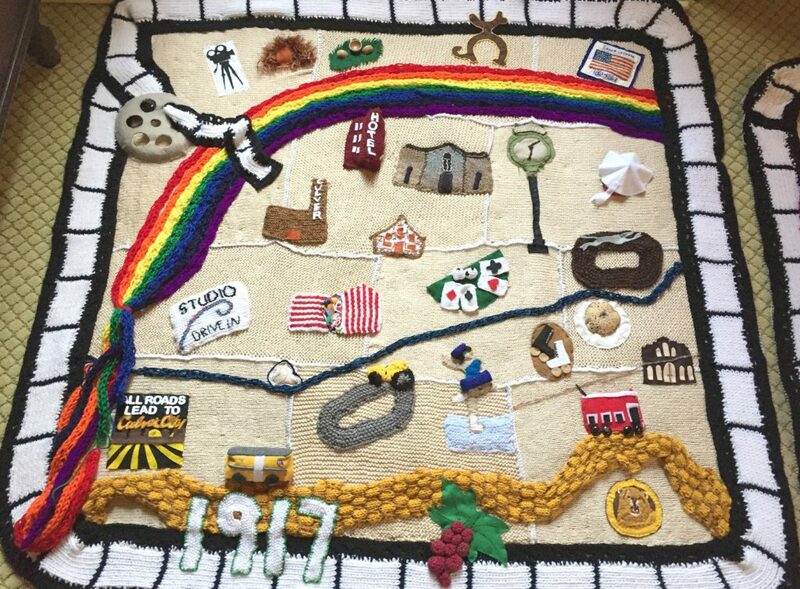 The Culver City Julian Dixon Library is exhibiting hand-made quilts that show off a plethora of our historic sites! Stop by the library to see them on display. And don’t forget to note the beautiful Japanese Meditation Garden in front, a gift from our second sister city, Kaizuka, Japan. Please visit your Historical Society Archives to see our latest exhibit and to support the new board, headed by President Hope Parrish. Many good wishes for a productive term, with thanks to Michelle Bernardin and cabinet who have worked so hard!